The beige Journeyman GW-JM 335 Deluxe Wood Case for Gibson 335 Semi-Hollow Electric Guitars from Gator Cases is designed with antique brass hardware, royal blue crushed velvet interior, and pebble weave burlap exterior with espresso trim. 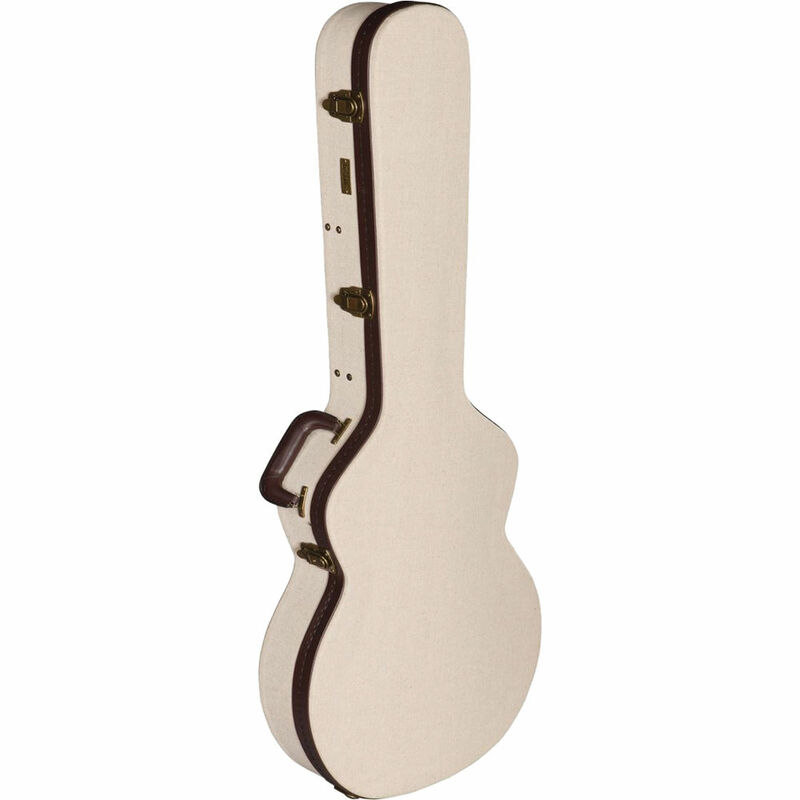 The wood case is equipped with an internal accessory compartment. Box Dimensions (LxWxH) 46.5 x 18.5 x 5.0"